Enjoy a warm stay to connect you with the nature in our four spacious, rustic and modern rooms with a connecting system among them (57m2), ideally suited for families and groups of friends. 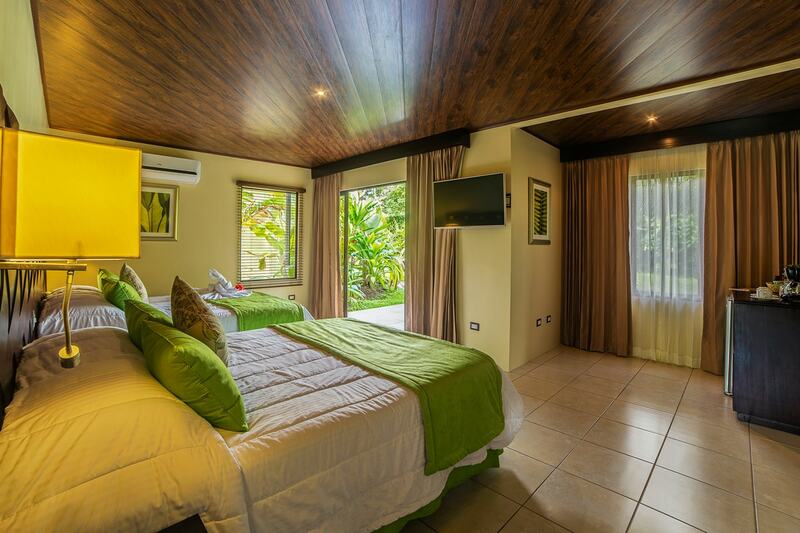 Those comfortable rooms are surrounded of small water mirrors and spectacular grounds with amazing colorful plants and tropical flowers, which will keep you in contact with nature. 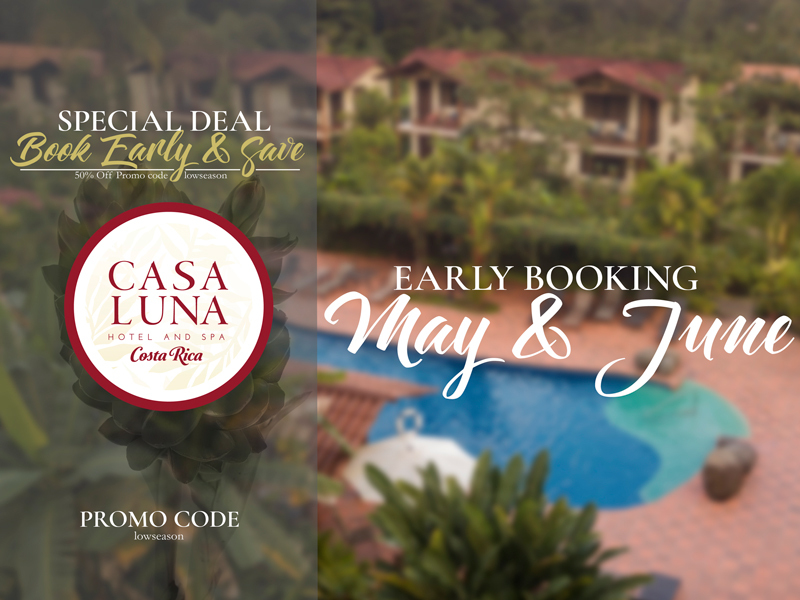 Our cozy Luna superior rooms offer a nice view to the surrounding mountains and partial view of Arenal Volcano and Cerro Chato from the balcony or terrace. Balcony or terrace with partial Volcano view. Spacious private bathroom with hot water.